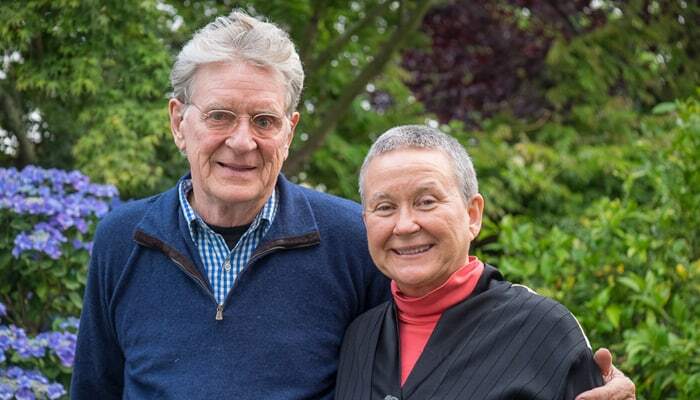 Robert Thurman and Isa Gucciardi will be co-teaching two fantastic workshops together starting this fall at Menla Center for Health and Happiness. Menla is nestled in a magical mountain valley, surrounded by thousands of acres of Catskills forest preserve in upstate New York. It has a Conference Center, Yoga Studio, Healing Center and Spa, as well as a variety of comfortable accommodations, plus gourmet vegetarian cuisine from the onsite organic garden. Join these two inspiring teachers in this beautiful healing setting. Spa services in Menla’s exquisite Mahasukha Spa available with advanced reservations. These workshops are open to all levels of interest! This retreat on the cusp of the winter solstice, a time of natural inward self-reflection, focuses on the traditions of the “psychonauts,” explorers of the subtle realms of dream, death, and all “between” states. Such people are known as “shamans” in indigenous traditions and as “siddhas” or “adepts” in Buddhist and Hindu Tantric traditions. Isa Gucciardi joins Robert Thurman in exploring the deep and vast dimensions of these traditions, focusing on our planetary welcoming of various forms that consciousness takes in this time of global crisis, as she has done from time immemorial. Shamans and siddha adepts provide us with resources from long-developed, time-tested positive sciences and arts that help us celebrate the blessings of reality and live meaningfully in the midst of the ups and downs of our daily lives ever more realistically and happily. In this retreat, we will review the historic encounters between these two spiritual traditions from world indigenous and Indic regions and learn how they have informed one another from time immemorial. While steeped in philosophy and psychology, this retreat is also highly experiential in nature. We will explore methods of going inward drawn from both traditions including the Shamanic Journey and Indo-Tibetan Deity Meditation. The Shamanic Journey is an ancient and time-tested method that shamans around the world have used to develop a deep relationship with the powers of the Earth and Cosmos. Deity Meditation is a form of meditation that brings the meditator into an intimate understanding of the fields of wisdom, sensitivity, and power held by the deities of the Tibetan Buddhist pantheon. We will explore the role of ritual and ceremony in both contexts and learn what role ritual and ceremony provide in bringing forward the realizations, sensitivities, and powers that are the fruits of these deep forms of inner exploration. We will not only learn the basics of the shaman’s journey but also meditate, dialogue together, and create and perform ceremonies in order to align ourselves with the power that these two traditions have provided humanity for millenia. Daily yoga will also be offered. Select readings from Shamanic and Buddhist wisdom literatures are available by request, to prepare for the experience. Readings will be on hand at Menla for those of you who do not request them ahead of time. The spring equinox signals a time in nature when the Sacred Feminine reveals herself in the regeneration of light and life on the earth. This powerful creative principle surges forth and is experienced in the bloom of flowers and return of physical energy and inspiration as we emerge from the interior experience of winter. Join Isa Gucciardi, author of Return to the Great Mother, and renowned scholar, Robert Thurman, to explore the vast dimensions of the Sacred Feminine. In this experiential workshop, participants will examine and connect with the transformative and healing power of the Sacred Feminine also known as the Divine Feminine, Great Mother, Gaia and the goddess. We will explore the ways this power has been misunderstood and students will learn methods of holding this power in positive and life affirming ways. In times of personal and planetary crisis, the Sacred Feminine comes forth in her various forms, as she has done from time immemorial, to bring balance and healing. Students will have plenty of time to discover a more intimate relationship with the earth and the Sacred Feminine in the unique and nurturing physical environment of Menla during the highly creative time approaching the spring equinox. Registration rates vary based on accommodations. Additional information and registration available via Retreat Guru. Isa Gucciardi, Ph.D., holds degrees and certificates in transpersonal psychology, cultural and linguistic anthropology, comparative religion, hypnotherapy, and transformational healing. She has spent over 30 years studying spiritual, therapeutic, and meditative techniques from around the world. Isa is the creator of the ground-breaking therapeutic model, Depth Hypnosis, and the Founding Director of the Foundation of the Sacred Stream. She teaches nationally and internationally and has an active counseling practice in San Francisco, CA. Robert Thurman is Professor of Indo-Tibetan Buddhist Studies at Columbia University, co-founder of Tibet House U.S. and its Menla Mountain Retreat in service of H. H. the Dalai Lama and the people of Tibet; a world-wide lecturer on Tibetan Buddhism, the translator of many philosophical treatises, such as The Vimalakirti Sutra; Tsong Khapa’s Essence of True Eloquence, and Brilliant Illumination of the Lamp; and author of numerous popular books, including Inner Revolution; Infinite Life; Why the Dalai Lama Matters; The Jewel Tree of Tibet; Essential Tibetan Buddhism; and Love Your Enemies (With Sharon Salzberg). In partnership with Nena Thurman, and other teachers and dedicated contributors, he now focuses on making Tibet House US’ Menla Mountain Retreat a global center for the promotion, study and practice of Tibetan Buddhist healing arts and sciences of body, mind, and spirit, dedicated as a complement to the vast life work of its patron, His Holiness the Dalai Lama.